Bold headlines linking blockbuster gene-editing tool CRISPR to cancer sent stocks in companies trying to bring the technology to medicine tumbling. But scientists who study the technique say the concerns are overblown at best and an incorrect interpretation of the science at worst. Ultimately, using CRISPR does not appear to present any challenges that scientists familiar with gene editing have not already faced. Earlier this week, reports linking the blockbuster gene-editing tool CRISPR to cancer in twostudies sent investors scrambling to pull out of companies working on the technology, which is being studied for use in everything from food to medicine. The tool’s precise cut-and-paste approach to gene editing allows for a range of promising medical applications, from curing sickle cell anemia to preventing some forms of blindness. 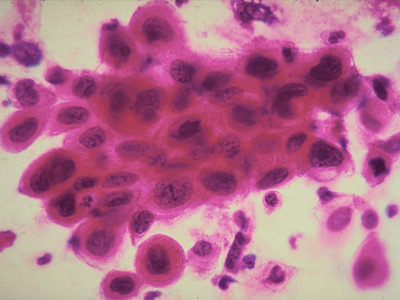 On Monday afternoon, headlines suggested that cells edited with the tool were more likely to become cancerous. 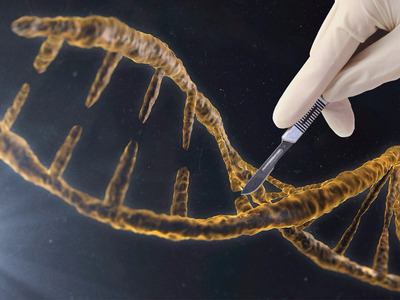 Within hours of the reports being published, shares of Editas Medicine, CRISPR Therapeutics, and Intellia Therapeutics – all of which are trying to bring CRISPR to medicine – took a significant tumble. But scientists who study CRISPR and other methods of gene editing call the reports “overblown.” They say the link to cancer is tenuous at best and an incorrect interpretation of the results at worst. Like many other researchers involved in the space, Doench read the twostudies highlighted in the recent report and published in the journal Nature Medicine. Instead of concluding that the technique causes cancer, Doench read the papers and thought it highlighted facts about how cells behave in response to perceived threats. Most of these are already fairly well-known to people who study gene editing. Tweaking a cell’s DNA is a violent process; when it is done, cells respond by trying to defend or repair themselves. This is one of the biggest hurdles facing most cutting-edge gene editing approaches today. It is not unique to CRISPR. The problem comes down to the basic biology of what happens in cells that encounter DNA damage. To make changes to DNA, CRISPR breaks key parts of the strands that make up the genetic material in a cell. This cutting and slicing ability is why it’s so powerful; previous tools for gene modification were limited by their inability to precisely target certain parts of a cell’s DNA. When anything – be it CRISPR or a disease or anything else – slices into genetic material, the “broken” cells try to patch themselves up in a process that’s governed largely by a gene called p53. If that fix-it gene starts to malfunction, it means cells can’t self-repair. Cancer can occur as a result. The recentpapers did not reveal that editing the DNA of a cell with CRISPRdamaged its fix-it genes. Instead, the process appeared to activate them, which is exactly what scientists would expect to happen with many kinds of gene-editing. The scientists behind the two recent papers were looking out for another potentially disturbing consequence of using CRISPR on these cells: that their fix-it genes would be shut down after applying the tool – a result that would leave them vulnerable to mutations and cancer. But that didn’t happen either, according to the two papers. What did happen, however, is that the cells edited with CRISPR were more likely to have mutations on their fix-it genes. But that wasn’t necessarily a result of CRISPR. In fact, cells in labs have a tendency to acquire all kinds of mutations simply as a result of being in a lab. A 2017 paper published in Nature found, for example, that human embryonic stem cell lines frequently develop mutations without any kind of gene editing being done on them. Many of those mutations also happen to be on the p53, or fix-it, gene. The last line of one of the most recent papers sums this idea up well, concluding that scientists who are developing techniques using CRISPR should closely monitor the function of the fix-it gene on the cells that they edit using the technique. This is also something that most biologists – especially those who work in gene editing – already know. Other techniques like zinc finger nucleases, a type of gene editing that can lead to outcomes seen as similar to CRISPR, require keeping a close eye on the fix-it gene, too. That’s a risk scientists are actively monitoring, not a unique issue presented by CRISPR. “To anyone who would actually use gene editing, this was already baked into the cake,” Doench said.